What other job is there were you can put on your red and white striped knee socks, roll up your pants and head off to work, AND have your boss like your outfit? 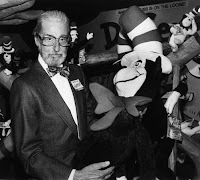 Happy Birthday Dr. Seuss and thank you for many many years of wonderful memories. (I know he's true birthday is on 3/2 but celebrating on Friday is so much more fun than Monday). For those of you who might not know, I come from a mixed marriage. My husband is a Republican and I am a Democrat. Before taking on teaching I worked on Capitol Hill (as he still does) and our engagement actually made the Hill news... elephant and donkey uniting. Apparently shocking given the political climate. So understanding that, I rarely engage in full-blown political debates unless I am aware of who I am speaking with. Don't get me wrong, I'll discuss and debate with anyone no matter their political persuasion -- but I am highly aware that there are many different and passionate views out there and I like to know the temperature of the water before I dive in. I guess I am saying this because I am about to post something wonderful from someone very political. If you want to get political, fine by me, but if not, just read it as a teacher would. It almost made me cry. Nick Timiraos reports on the presidential race from Beaumont, Texas. Barack Obama took a chance to offer some parenting advice during a forum on the economy Thursday, bringing a crowded auditorium of 1,700 to its feet. His lecture came in a response to how he would improve education. After discussing the need to overhaul the No Child Left Behind Act, he asked the audience for permission to speak frankly. Thank goodness today is an Art day. That means my lovies will be gone for a full hour at the end of the day. That means that as I eat my lunch, I only have 25 more minutes with them until we pack-up and go home. They. Have. Been. So. Irritating. I know some of it must be me, but I swear that they sense my weakness and are trying to send me to the loony bin. We sit criss-cross on the carpet. Always. We raise our hand when we want to share. Always. After we raise our hand we WAIT until we are called on. Always. We avoid pig piles on the carpet. Again, always. There is never an instance when that has been okay. If someone accidentally steps on our pattern block creation, we don't scream at the TOP of our lungs. When I am talking to another student, we don't stand next to me and repeat my name over, and over, and OVER until I give them the evil stare which means "STOP!" Today the stare hasn't even worked. Sigh. I just hope that 25 minutes with them will be bearable... I envision about 10 students on the carpet listing to our awesome chapter book and the remaining 11 being banished to quiet seats at their tables for doing any or all of the above mentioned. Way to think positive huh? Three friends and I had so much fun today... for 20 minutes we threw stuffed squishy letters at each other (did I say "threw?" I meant tossed aggressively) and shouted out the letter and any word we could think of that started with that letter. "C! Cookie! Cat!" My friends were having a blast and so was I. My husband and I spent the ENTIRE weekend scouting properties and attending open houses. During the open houses I observed an annoying pattern. I would be asked what I do for a living and would receive a "oh that's nice" smile and a personal connection that I could care less for. "My great aunt was a teacher." That's great. Did she have enough money to buy a house in NOVA? The agent would be fidgety and then quickly turn to my husband and ask him what he did. You could see the calculations going on in his head. "Wife doesn't make much but with the husband I could sell them this... or this..." It wasn't a surprise, but it was annoying. As a career-switcher (a higher paid one at that), this is the only time I think wistfully of my past life. The one and only time. Hurrumph. Thank you Mother Nature for a much needed day off. I feel as though I should have contacted Wrigley Gum so they could have filmed my kids today. We did a dental hygiene experiment with hardboiled eggs, clean water and vinegar. One tooth (egg) went into the dirty mouth (vinegar) and one tooth went into the clean mouth (water). After two days we examined the tooth in the dirty mouth and the tooth in the clean mouth. The one in the clean mouth remained hard and white. The one in the dirty mouth was soft, stinky and a yellowish brownish tint. The kids were partly excited, partly grossed out. Pint-size made gagging noises. Lesson learned? I always smile to myself when I hear how kids don't like healthy homemade food and always choose the neon, bright colored, sugar-filled alternatives. I'm sure this can be proven, but in my classroom homemade (or class-made) is the best! Today we learned about George Washington Carver, not to be confused with George Washington, and how he found many ways to use the peanut. Most of my kiddos let it be known that the best use of the peanut is peanut butter and lucky for them, we had all the ingredients! After showing them a peanut in the shell ("they really grow in the dirt? Ewww!") and creating a giant mess of shells (20 kids can shell 3 cups of peanuts in 10 minutes flat), we put it all in the blender with corn oil and salt (note the absence of sugar) and turned it on. I think this was the first time many of my lovies has ever seen, or heard, a blender. It was hysterical. Once the peanut butter was made I drizzled it (we went a little heavy on the oil) on a saltine and savored our homemade creation. They were begging for seconds and declared they would start making their own peanut butter. I mean, come on, who would buy this in a jar when making it is so fun?! Wow. Did you know Valentine's Day in a 5 year old mind ranks right up there with Christmas and birthdays? Possibly higher? My room smells like sweet stickiness, my head is spinning, and I am looking a wide variety of Valentine's Day schwag on my desk. Admittedly, the day was insane, but insane in the best way possible. To quote one of my lovies, "I just LLOOOOVVEEEEE Valentine's Day!" "plant trees and build houses for them like I did with my dad." "give everyone money for toys if their mom's couldn't buy them." "make everyone be quiet because they're too loud." "build everyone a house with big windows." "make everyone stop fighting and be friends." "give everyone puppies so they can have dogs like me." "buy all the books in the library to take home." I left school at 4:30 p.m. this afternoon feeling quite proud of myself for deciding that some quiet couch time was more important at that moment than next week's lesson plans. In hindsight, I should have checked the traffic. My normal route puts me on the beltway for one exit. One. Tiny. Exit. It took me 55 minutes to get to my tiny exit only to discover the ramp to the highway I needed was closed. Just as I was about to lose my mind I looked up at one of the many fly-over bridges above the highway. The one I was looking at was closed and had many trapped vehicles on it. Two of the trapped vehicles were school busses - school busses loaded with children. Can you imagine? I tried to think what I would do. Sing myself hoarse? Initiate a rocks, paper, scissors tournament? Cry myself to sleep in the corner? Reports are still being given that fly-overs and bridges are closed. I hope this one was de-iced and those busses got on their way. 1. Assessments -- I have a new, and so far successful, Writing Workshop notebook copied from our Literacy Guru (hooray). I am also beginning to implement check-lists for math and social studies (double hooray). I was given some good tips today from one of my graduate classes on how to collect anecdotal information from kids in science and social studies when I almost always teach these in whole group settings. The tip is this: during transitions, ask a kid a question and mark it on your check-list. Or, if I want to know if everyone knows that George Washington was our first president I will ask them to whisper it to me as they line up for lunch then check-it off on my list. Brilliant! How did I not think of that? 2. My husband's messages to my special friend have exploded into many of my kiddos writing to him. I have relieved some of the workload and responded back to the kids in his name (is that wrong?) I print the letters out (big comic sans font, always with a question to answer) and staple it to their original letter. Now we are brainstorming about other people we can write to! My kids are beginning to moan when we don't have Writing Workshop (instead of the reverse) and for that, I am elated. 3. Friend from China -- he is getting there... very slowly, but I am certain very surely. 4. I am in the process of formally assessing a group of kids who qualify for intervention... so far almost all of them have made huge improvements from the beginning of the year. That feels good. Their improvements however, put them where many of their classmates were in August. So that feels daunting. Can I catch them up? One of my kids was sharing his story during Writing Workshop this morning. It was about his birds at home and about how much they eat and drink. His best friend asked him if he had just one bird or two. The writer responded (rolling his little eyes), "TWO! Don't you remember them when you came to my house for my birthday?" "Your birthday" his bf asked? Then from the other side of the circle, my pint-sized student with a personality the size of a linebacker pipes up with, "and that's why it was his BIRDday." Giggles all around. (If you cracked a smile - you can hang with my kids. If you rolled your eyes - you might want to avoid my room). I have been thinking about this a lot lately and have come to the conclusion that by far, the most difficult aspect of first-year teaching is assessment. Throughout my licensure coursework and into my graduate coursework we have been introduced to various teaching styles, learning styles, strategies, theories, etc. As my first year progresses I feel that I have a good handle on these subjects and if I am not applying them to my own classroom, I am working on doing so. That brings me to assessment. I feel like I am constantly struggling. Some may ask in an alarmed way, "Really?!?!" Well yes, really. Kindergarteners don't have routine exams and tests to give quick, albeit often inaccurate, information. Kindergarten teachers rely almost solely on anecdotal information. As a self-described Type A, list maker, control freak -- anecdotal assessments are tough. They're not direct and they don't fit into columns and rows. I have created, and later abandoned, many systems that I thought would work for me that did not. I have seen amazing systems in place and working, but they're not right for me. I am still searching for my anecdotal soul-mate! For now my anecdotal information is a hodgepodge of information in different locations that I gather for report card time and hope that I am being accurate and fair. If the teaching Gods are watching over me, I hope that I find my groove in the next few months because this is one of the first-year stresses that I would prefer not to follow me into year 2. I have a rambunctious kiddo in my class who, if I had known my husband at age 5, would have been the same kid. I have a special place in my heart for him and of course he's one of my "special" friends. He has a hard time understanding appropriate material/language for a kid his age (and frankly so do his parents) and we're constantly working on appropriate language and behavior for Kindergarten and school in general. So of course I talk about this kid all the time... hardly a day goes by when my husband doesn't here "You'll never guess what my friend did today..."
Are you gonna bring a DVD tomorrow? "How 'bout a movie tomorrow? Tomorrow we can watch a movie with you. I would love to watch a movie with you tomorrow, but I have to work so I can buy a DVD. Maybe in a couple of weeks I will come in to surprise you. How about Power Rangers or whatever you want? That's okay that you can't come tomorrow. I think Power Rangers is too violent for me. Maybe Happy Feet and you and your classmates can dance with the Penguins. P.S. My special friend's inappropriateness is not what reminds him of my husband at age 5 -- it's his energy, personality, intelligence, and all around adorableness. I thought that needed to be said. I discovered that one of our wonderful Instructional Assistants speaks Mandarin Chinese. I was elated when I discovered this and immediately asked her to help me with my new Chinese student and with the help of my favorite special education teacher, we also discovered his Chinese name! I had high hopes for a breakthrough in communication. Well, turns out he doesn't listen to her either. I see her speaking with him and he rolls his eyes and typically does exactly what she asked him not to. Typical 6 year old behavior I suppose, just in another language. Any suggestions on where to go next with this kiddo would be appreciated... all the tricks in my bag (endless visual cues, buddies, etc) haven't worked. Brown lunch bag, paper groundhog, some glue and a popsicle stick. What does this sound like to you? Well, to my kids it was the COOLEST thing they had ever seen. They pushed their little paper groundhogs up through the slit in their paper bags over and over again -- changing the outcome each time. "Mine saw a shadow!" "Mine didn't!" Paper bags, glue and some popsicle sticks... sometimes that's all it takes. I heart my job.